Since the beginning, Dr. Rody has had a heart for the sciences. From a young age, she was confident in her pursuit of a career in health care. Having competed in gymnastics and cheerleading for many years, Dr. Rody was introduced to chiropractic early in life. Common strains and injuries often led to adjustments. The impact chiropractic had on Dr. Rody’s life stuck, and from then on, she knew she had to help people in the same, natural way. Dr. Rody began her journey as a chiropractor at Sherman Chiropractic College. Going in with a therapy mindset, it quickly became clear to her that the adjustment was enough to encourage the body to heal itself. The adjustments she was conducting were working, and the patients to which she was tending were getting exponentially better. This grave reinforcement Dr. Rody found in the effectiveness of an adjustment is now the foundation of Devine Chiropractic. 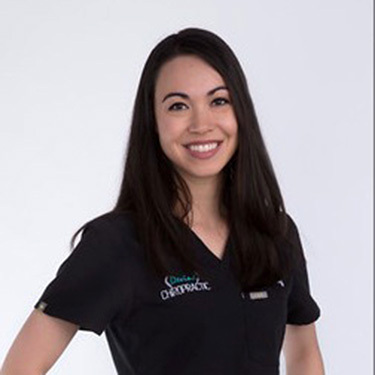 Though she grew up in Oklahoma, Dr. Rody relocated to South Carolina with her husband to continue to pursue their career goals. South Carolina offered her husband the opportunity to attend law school as well as Dr. Rody the ability to bring chiropractic to an area concentrated with need. They love living in Columbia and now call it home. Dr. Rody enjoys the scenery that South Carolina has to offer while taking walks with her dog Norman. On the weekends, she loves do it yourself projects. If you’re ready to take control of your health naturally, consider scheduling your first visit with us. We’ll meet you where you are on your journey to wellness. Get started today by contacting our practice.